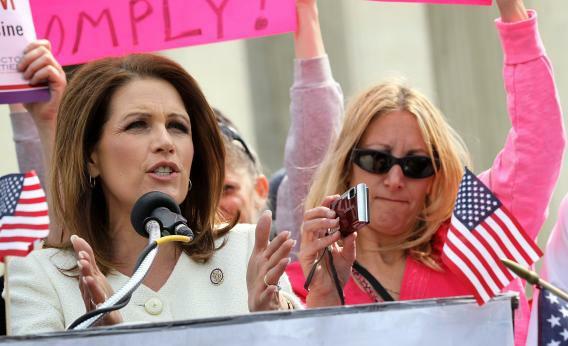 Today’s lesson: Bachmann understands the media much better than Gravel does. He wound down his primary campaign, took his quasi-viral fame, and ran for the Libertarian Party’s nomination. She played games with her endorsement for months – issuing a press release knocking down “rumors” about it, when those rumors had barely grown past the larval stage – and is now endorsing him onstage in Portsmouth, Virginia.